The Future of A Quick CNC. It was one year ago today that we met our funding goal of $10,000 for our Modular CNC Project. It's hard to believe that it's been that long since we started the project here on Kickstarter, as we only recently finished sending out the rewards. We have learned a lot about production of the CNC machines and have been working on streamlining the process for the last 6 months. We have teamed up with manufacturers from all over North America and Asia to help design and build what we hope will be the next revolutionary CNC project. 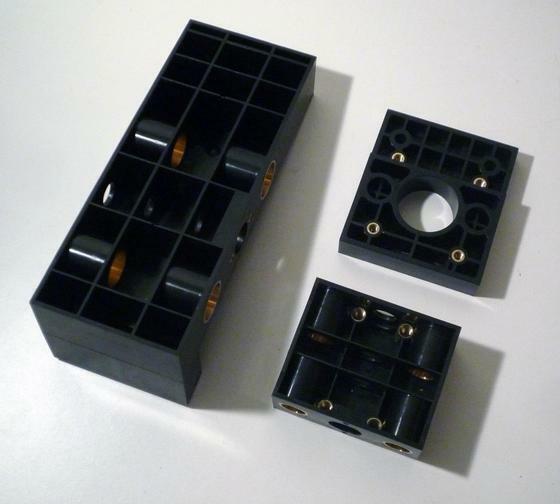 The most important (and expensive) part of a CNC machine are the linear movement components. On our CNC machines we used a combination of linear shafts, bushings, and a custom cast Z-axis. Each machine required nearly 20 hours of work to build, test, assemble, and finish these linear components alone. (Times that by nearly 50 machines, and you can understand one of the reasons the rewards took so long to get done). If we are to continue producing low cost hobby CNC machines, we needed to come up with an alternative. That's why we are currently investing over $30,000 to develop what we think will be the future of low cost CNC. 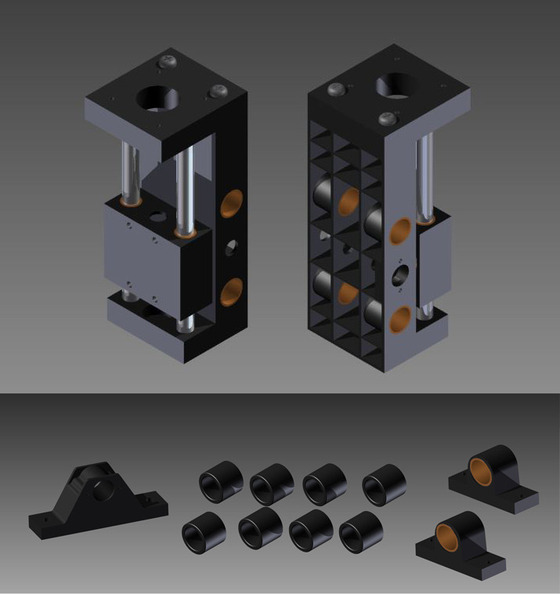 We are working to create our own set of versatile and modular, professionally injection molded linear components. Made from ABS plastic, these parts replace several expensive and complicated parts that would cost hundreds of dollars to be made using off the shelf items. Best of all? Each component takes seconds to manufacture, and each one is absolutely perfect. The assembly takes minutes instead of hours, and they maintain a higher level of precision compared to existing parts. As the parts continue on with our modular theme, any kind of CNC machine can be developed around them, making them perfect for DIY CNC'ers. (And of course all parts are backwards compatible with our Kickstarter CNC machine). Shown below is a rendering of the parts, in addition to an amazing ABS prototype we have had made. Great to hear! Tooling will be very expensive, but count me on another Kickstarter project if needed. I understand you've only made a prototype, but it looks like you could use some help from a plastics designer. I'd be glad to help out by coaching and/or reviewing designs... and could also recommend some professional designers (i.e. the kind that expect to get paid). Has any thought been put into making the new parts longer to make the working height a little more? Tooling is already in progress. 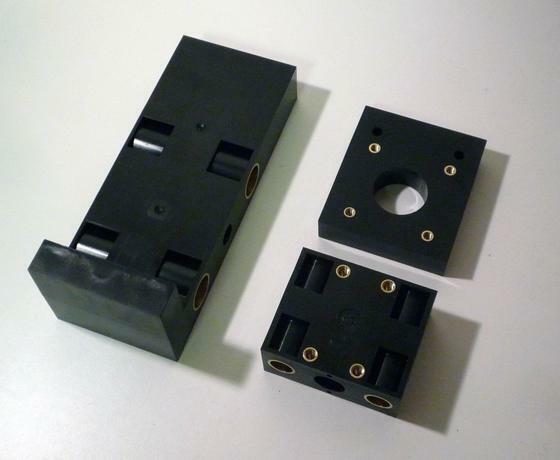 The prototype parts we have shown are actually injection molded with our new molds. We've been paying for the tooling out of pocket over the last 6+ months... which helps make it somewhat affordable for us. When we do our next Kickstarter (hopefully) we will be looking to just recoupe the costs from the injection molding. Our current pricing estimates show us to be losing a minimum of $20 on every one, but up to hundreds of dollars if we can't sell them all... since its hard to do a small run of injection molded parts. Tommy. The nice thing about this, is that adding a spacer to extend the length is actually a very easy thing to do. This injection molded version is much more compact than our previous design. It also uses a shorter shaft, but is able to have about the same movement (3" up and down). If you were to add a 1" spacer, 4" movement would be possible. Looks great! I like that it also adds stability. Do you know what the pricing for these will be for current CNC owners to upgrade? I will be working out a way to make the new parts available to those that already have the Kickstarter CNC. It will be cheaper as many of the parts swap over, and are reusable. I'd still like to do it as a new Kickstarter project, so I don't know how exactly we'd be able to handle it. 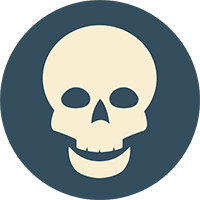 (I don't want to confuse people with a custom reward level for previous Kickstarter supporters or something like that). When do you think they will become available? Tommy LeRoy wrote: When do you think they will become available? Probably March / April at the earliest. Its been a long day.. But our new Kickstarter project is now live!